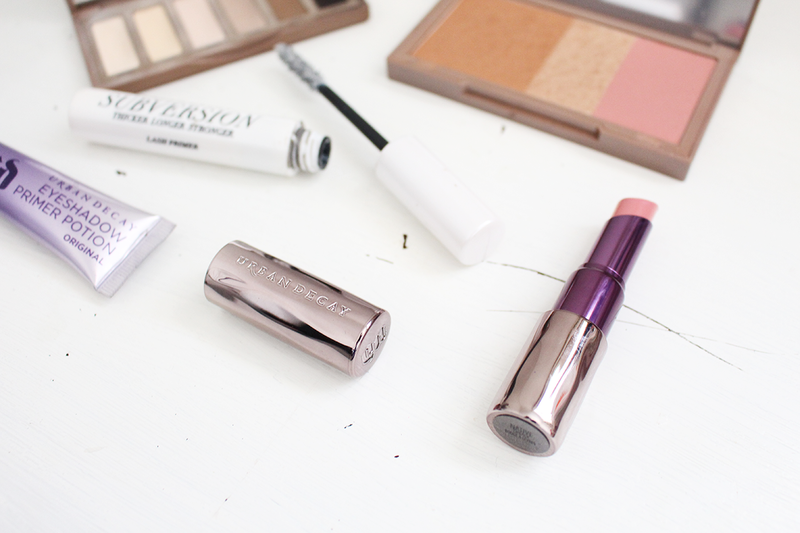 Products from Urban Decay that I reach for everyday, this post came to mind simply because I noticed that this brand in particular is used a lot in my everyday make up routine. I think it is also great sign to see the same brand recurring in your make up routine because clearly they are a winner! This palette I use everyday and I have had this for a good year at least and the shadows are so pigmented. I think I am almost touching pan on a few shades which brings me great sadness. 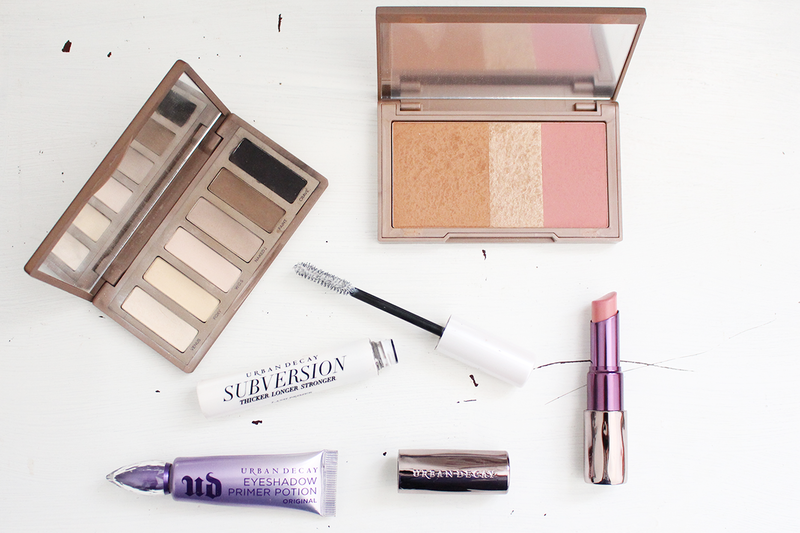 It has six shades, they are neutral but you can create an everyday look with it or even a nighttime look. This is also a great compact size for a small makeup bag too! Again, we have 3 products in one so this is so convenient for your makeup bag. I love using this purely because I don't have to reach for more products as it includes a bronzer, blusher and highlighter! I warn you though, be careful with the bronzer as it is very, very pigmented... I've made the mistake of looking like I have thrown mud on my face. This has been about for along as I can remember, definitely way back when I was watching Youtube videos and it was the go-to for insuring your eyeshadow stays in place. I think it's safe to say that it still holds its high status! This totally changes my lash game for real. Thicker, Longer, Stronger - it does all those things which is why I can't not use it everyday. If I don't want to wear false lashes but want to have volume to my lashes then this was my guarantee for that. These lipsticks are so creamy and they last forever. I often opt for a creamy consistency more so than matte as they aren't drying on the lips. The shade above is Native which is the perfect baby pink.